After a long day of activities from rainy visit to temples to Big Buddha, from seeing a sword maker to listening to a banjo player, it was a day full of new experiences for the participants of World Campus – Japan. 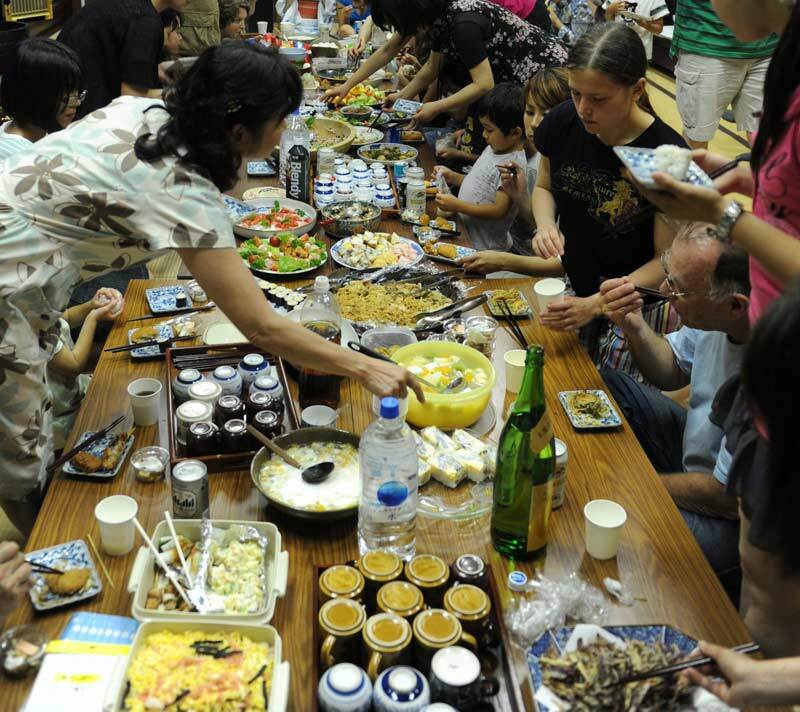 To end our day we had a pretty big dinner party with all the host families, LOC members and World Campus – Japan Participants at a temple which was also one of our host families’ house, there was so much food, from things we never tasted to things we were already used to eating. Everything from eggs to beef, from sushi to nato (fermented beans), from sashimi to fruits, from beer to sake, from green tea to juice and water, from chicken to guacamole (Mexican avocado deep)… all on one long table. Once again we had the opportunity to use our senses in Japan, a country with unlimited choices when it comes to food. WCJ enjoyed trying new things and seeing familiar things on the table. After dinner we danced to the rhythm of the banjo played by one of our host dads, a true sign of cultural globalization!